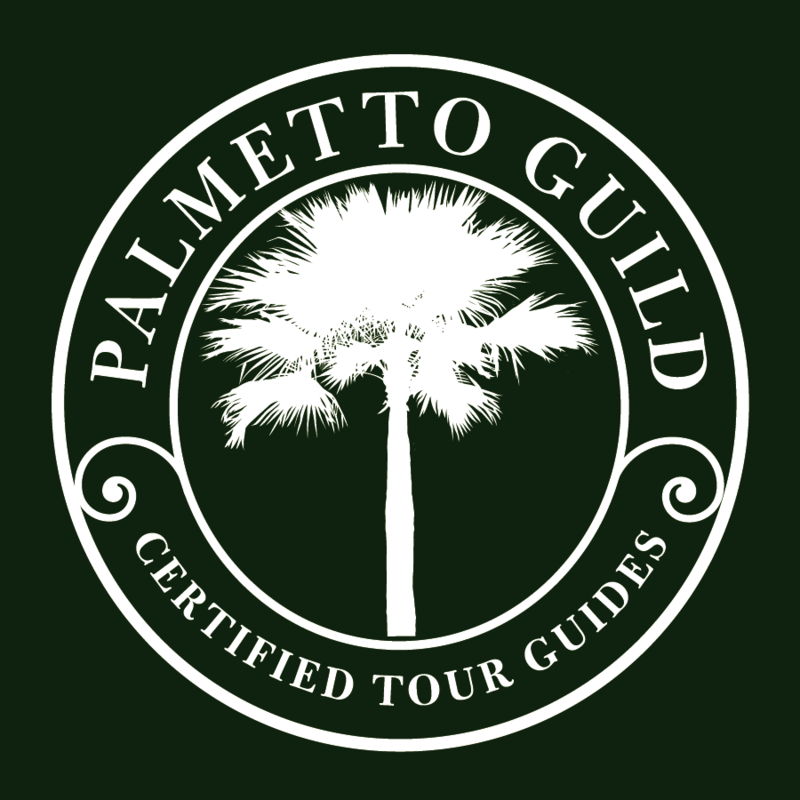 The Palmetto Guild represents certified tour guides who have demonstrated proficiency on an exam administered by the City of Charleston. This test is based on competency of Carolina Lowcountry history, culture, and municipal regulations. Guild members are professionals who are committed to historical accuracy, continuing education, and providing an engaging experience for all visitors. The Palmetto Guild logo is not to be reproduced or used without the prior written permission of the Palmetto Guild. Any unauthorized use of the logo may violate copyright trademark laws.